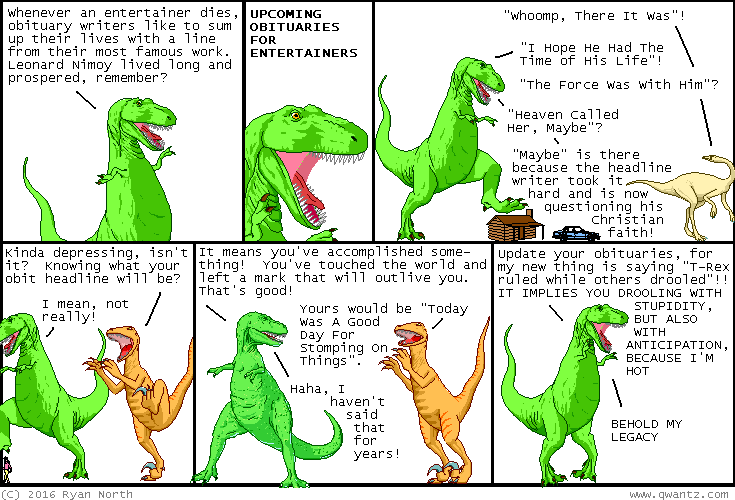 Dinosaur Comics - November 14th, 2016 - awesome fun times! –To that end, I will write a novel! November 14th, 2016: I am back in Canada! It's okay, but distinctly lacking in lochs. I guess it's true what they say: "Canada is distinctly lacking in lochs". UPDATE: TURNS OUT THERE'S AT LEAST ONE, I TAKE IT BACK, CANADA RULES FOREVER. Thanks Andrew for letting me know!